During this campaign year, we look back to one of the first occasions when a presidential candidate visited campus. 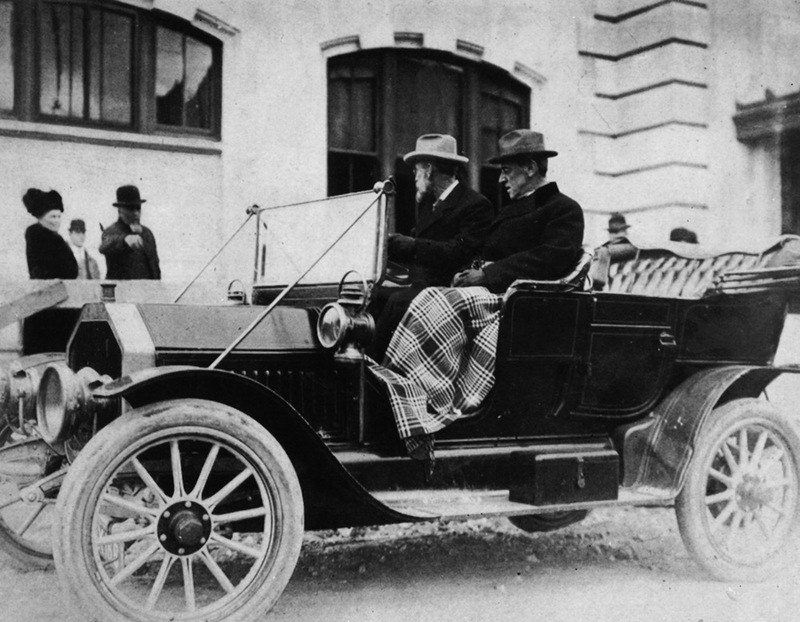 In October 1911, Woodrow Wilson (seated at right with blanket) came to Madison while testing the waters for a White House run. He was then the newly sworn-in governor of New Jersey and former president of Princeton University. UW president Charles Van Hise 1879, 1880, MS1882, PhD1892 is in the driver’s seat, and presumably they’re on their way to or from the Red Gym, where Wilson addressed a crowd of Wisconsin Democrats. Wilson had come to the UW to speak at a national conference called Civic and Social Center Development. We’ve since learned that the best treatment for tuberculosis is antibiotics, but as politics seems to be a drug-resistant disease, open air is the best we can do. As Princeton’s leader, Wilson had developed a relationship with UW administrators and faculty. He’d corresponded with Thomas Chamberlin when the latter was UW president in the 1890s. And Van Hise sought Wilson’s advice when the Wisconsin Union was first proposed at the beginning of the twentieth century. When it came to politics, however, Wilson and Van Hise were less mutually supportive. Van Hise was a friend and adviser to Theodore Roosevelt, who would become Wilson’s chief rival in the election of 1912. Wilson ended up winning the vote in Wisconsin and across the country, but he didn’t visit campus again. UW researchers helped achieve the second-biggest scientific breakthrough of 2012, according to the journal Science. Physics professor Karsten Heeger led a team that made precise measurements of anti-neutrinos, nearly massless subatomic particles, and this work may help researchers understand why the universe is dominated by matter rather than antimatter. The number-one discovery, according to Science, was the Higgs boson, another finding for which UW scientists played a key role. The UW’s College of Engineering has named Ian Robertson as its new dean. Formerly a professor at the University of Illinois, Willett succeeds Paul Peercy, who served as dean since 1999. Barbra Streisand and Kris Kristofferson may have had a hit with A Star Is Born, but UW researcher Alyson Brooks has topped them. She’s created a video that shows the birth of an entire galaxy. The NASA computer model of the creation of a disk galaxy is available online. Michael Fiore, director of the UW’s Center for Tobacco Research and Intervention, has been elected to the Institute of Medicine, one of the nation’s premier scientific organizations. Fiore was featured in the Winter 2005 issue of On Wisconsin. The magazine Kiplinger’s ranks UW-Madison thirteenth among the top 100 universities for best value. National Taiwan University ranks the UW twenty-second in the world for research output. The UW’s annual fund campaign reached its financial goal of raising $10 million in 2012 — and even surpassed it. The campaign, called Share the Wonderful, brought in $10.2 million, nearly doubling the $5.4 million raised in 2011. Annual fund dollars are unrestricted and can be spent on what the university deems its areas of greatest need. This year’s incoming freshman class — the incipient Class of 2016 — was the largest in UW history, with 6,279 students. Study shows that roundabouts are effective, if unpopular. ’Round and ’round the automobiles go, but how they crash, only TOPS knows. The engineers of the UW’s Traffic Operations and Safety (TOPS) Laboratory recently released a study of roundabouts, examining their effect on safety and traffic flow. A roundabout is a road intersection in which cars from all directions turn right on entering and travel counterclockwise around an internal circle until exiting on their desired route. In recent years, roundabouts have replaced traditional four-way stops and stoplights in various locations around the country. There are currently more than fifty roundabouts in Wisconsin, with another hundred planned for construction in coming years. Roundabouts aren’t necessarily popular with all drivers, however. According to TOPS Lab director David Noyce ’84, MS’95, a professor of civil and environmental engineering, many people find the circular intersections confusing. But in spite of that, roundabouts have demonstrated a record of improved safety and more efficient traffic flow. TOPS Lab researchers conducted a study of two dozen Wisconsin roundabouts between 2009 and 2011. According to Andrea Bill MS’06, a traffic safety engineer who led the study, the roundabouts showed a 52 percent reduction in the number of crashes that cause fatalities and injuries. However, she also noted that about half of the roundabouts showed an increase in minor collisions — those causing damage to cars but not to the people riding in them. Bill and Noyce explain that personal safety improves even if the total number of crashes doesn’t because of the way that roundabouts change traffic flow. As all the cars in a roundabout are essentially moving in the same direction, the chance of a high-impact, head-on or T-bone collision is removed. 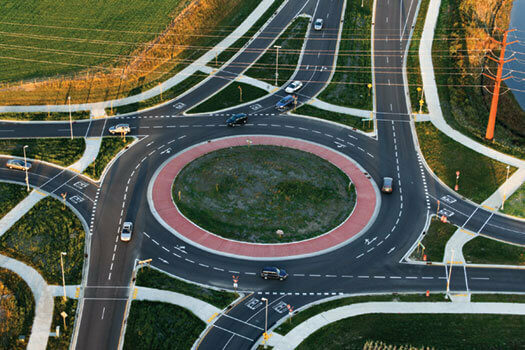 As roundabouts become more common, Noyce expects that the number of minor collisions will also fall, and that popular sentiment toward roundabouts will rise. The Wisconsin Idea may be one of the UW’s legacies to higher education, but when alumni hear those words, their reaction is often a blank stare. 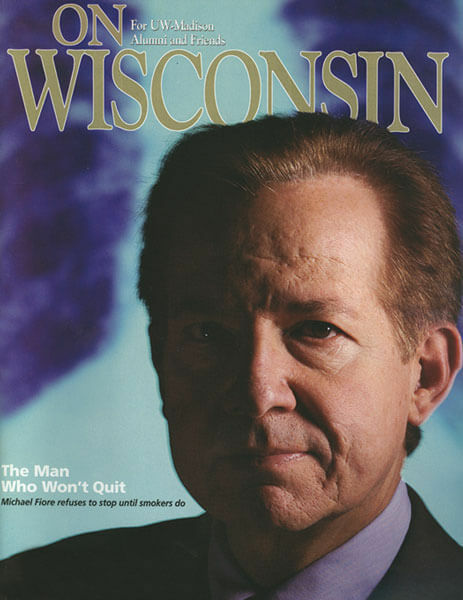 To spread the word about what it means, UW–Madison declared 2011–12 to be the Year of the Wisconsin Idea. WAA is helping raise awareness by making the idea the theme of this year’s Founders’ Day celebrations. The idea’s basic principle is credited to former UW President Charles Van Hise 1879, 1880, MS1882, PhD1892, who said in 1905, “I shall never be content until the beneficent influence of the University reaches every family in the state.” The UW now defines the idea as proclaiming that the boundaries of the university are the boundaries of the state and beyond — that the UW’s purpose is to share knowledge and discoveries with people around the world. Founders’ Day honors the anniversary of the UW’s first class, held February 5, 1849. Alumni chapters around the country host events to mark the occasion — for many, it’s their signature event for honoring the university, giving out awards, and raising funds for scholarships. Each event generally includes a speaker from the UW, talking about research or a vital area of interest for the university. This year’s speakers will touch on the Wisconsin Idea in some facet.